One influential issue at the ballot box this year is the future of how we cast our ballots. In secretary of state races throughout the country, voters will be choosing who runs their elections — and how open those elections are to all voters. As Republican lawmakers continue to enact news laws aimed at curtailing the rights of voters, secretary of state elections have taken on renewed importance. Perhaps the hardest-fought and most-watched secretary of state race this year is taking place in the heavily Republican Kansas. And that’s all because of the national profile and extreme agenda of one man: incumbent Secretary of State Kris Kobach. When Kobach won his job in 2010, he was already a national figure. After a stint in the Bush Justice Department, Kobach joined the Immigration Reform Law Institute (IRLI) — the legal arm of the nativist anti-immigrant group FAIR — where he worked with lawmakers to craft harsh anti-immigrant measures throughout the country, including Hazleton, Pennsylvania, and Arizona, where he helped write the infamous “show me your papers” law SB 1070. After a failed run for Congress in 2004, Kobach set his sights on his state’s elections office. Kobach has recently gained a prominent place in national Republican politics, serving as an immigration policy adviser to Mitt Romney and working to insert anti-gay and anti-immigrant language into the 2012 GOP platform. Kobach won his position handily in 2010, but is facing an unexpectedly tough fight to hold onto it. Part of the reason is because he’s kept up his out-of-state anti-immigrant work: He still holds a position at IRLI and jets around the country advising states and localities that have agreed to be his policy guinea pigs, prompting his critics to complain that he’s not spending enough time in Kansas. And part of it is because he’s brought his activism home, using his platform in Kansas to push some of the most extreme voting restrictions in the country by hyping fears that undocumented immigrants are voting en masse in Kansas. In 2011, at Kobach’s urging, Kansas passed a restrictive voter ID law that included a requirement that those registering to vote provide a passport, birth certificate, or similar “proof of citizenship” to elections authorities. The proof-of-citizenship provision, which took effect this year, has thrown Kansas voter registration into chaos. Less than one week before the election, 22,394 potential Kansas voters are unable to cast ballots because they had not provided an acceptable form of citizenship documentation. In addition, Kobach has placed an estimated 300-400 voters in a special voting rights “tier” in which they can vote only in federal elections and not in state elections. Kobach has proudly reported that of the 200 people who were placed in this special class of disenfranchised voters in this summer’s primary election, only one bothered to show up to cast a half vote. 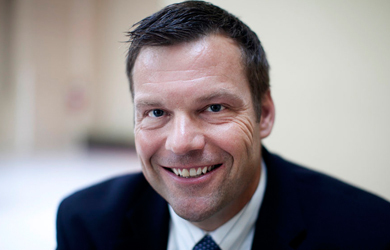 Kobach is also at the helm of Interstate Crosscheck, a faulty program that claims to identify people who are voting in two states at once but in reality has encouraged states to purge eligible minority voters from their voter rolls. Kansans became even more leery of Kobach’s priorities this year when he spent $34,000 in taxpayer money trying to keep a Democratic senate candidate, Chad Taylor, on the ballot after he dropped out to make way for the independent challenging Republican Sen. Pat Roberts. Kobach only relented when the state supreme court ordered him to, and even then he tried (unsuccessfully) to find a way around the order. A recent poll shows Kobach tied with his Democratic challenger, Jean Schodorf. In the presidential swing state of Ohio, the secretary of state is often in the center of national battles over voting rights. Republican Jon Husted has been no exception. In the lead-up to the 2012 election, Husted stepped in to break tie votes in Democratic-leaning Ohio counties, allowing those counties to eliminate night and weekend early voting hours… even as Republican-leaning counties expanded their early voting hours. In response to a national outcry, Husted enforced “uniformity” by requiring all counties to bring early voting opportunities down to the lowest common denominator, including cutting off night and weekend voting and eliminating early voting in the three days before the election. When a federal judge ordered Husted to reopen voting in the three days before the election, he flatly refused to comply, saying it would “confuse voters.” Eventually he relented, but as the election approached he appealed the ruling all the way to the Supreme Court. Since the 2012 election, Husted has kept up his efforts to restrict early voting in 2014, fighting to eliminate the so-called “Golden Week” of early voting — in which voters can register and cast their ballots in one visit — and to cut early voting hours, including on Sundays, a time frequently used by African American churches for get-out-the-vote efforts. Husted faces a Democrat state Sen. Nina Turner, a major critic of his record on voting rights. Although the two were neck-and-neck in an early poll, a recent poll shows Husted with a significant lead. Before Kansas ushered in its restrictive “proof of citizenship” law, Arizona was already fighting for a similar measure. In 2004, Arizona voters passed Proposition 200, a medley of anti-immigrant and voter suppression measures including a requirement that those registering to vote present one of a narrow set of documents to prove that they are citizens. The Supreme Court struck down the provision in 2013, saying that it was preempted by federal law — but left a loophole, suggesting that Arizona could sue the federal Election Assistance Commission to require that federal voter registration forms used in the state include the extra “proof of citizenship” requirement. So Arizona did just that, joined by Kansas under Kobach. That case is still working its way through the courts, but it’s left a peculiar situation in Kansas and Arizona where Kobach and his Arizona counterpart Secretary of State Ken Bennett have set up dual-track voting systems in their states in which people who register to vote with a federal form but do not provide additional citizenship documents are allowed to vote in federal elections, but not in state elections. As we noted above, of about 200 Kansans on the special limited-rights voting track in this year’s primary election, just one voted. 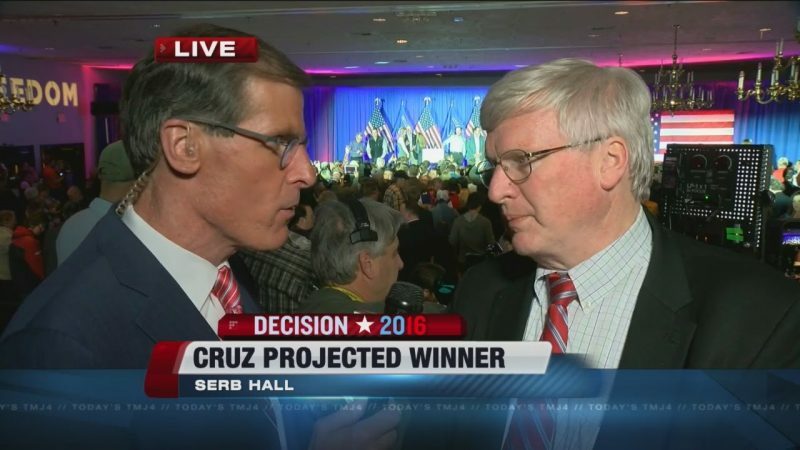 In Arizona, about 1,500 were put on the limited track, and 21 cast ballots. Bennett isn’t up for reelection this year — he unsuccessfully sought the Republican nomination for governor — but the race to succeed him will determine the future implementation of Arizona’s restrictive requirements. Republican Michele Reagan sought and won Kobach’s endorsement, boasting that she voted for the infamous anti-immigrant bill that Kobach helped bring to Arizona. In the state senate, Reagan wrote a bill that, among other voting restrictions, would prevent community groups from collecting and delivering mail-in ballots, a method commonly used in voting drives by Latino groups. When an effort to repeal the bill by referendum started to gain steam, Reagan and her fellow Republicans worked to repeal it first, thus allowing the state legislature to bring back parts of the bill in a piecemeal fashion. Reagan is facing off against Democrat Terry Goddard, a former state attorney general and mayor of Phoenix. Both candidates have said they want tighter disclosure requirements for “dark money” spending by outside groups. But when the Koch-backed 60 Plus Association bought $304,000 in ads attacking Goddard last week, she refused to distance herself from the dark money effort. Reagan also struggled this week to explain her vote for Arizona’s so-called “birther bill,” which would have required presidential candidates to prove to the secretary of state that they are native-born American citizens. In Colorado, Republican Secretary of State Scott Gessler — a key Kobach ally and crusader against the supposed scourge of Democratic “organized voter fraud” who last year tried to stop county clerks from sending ballots to voters who had not voted in the the last election — is stepping down this year, having tried and failed to get his party’s gubernatorial nomination. In the race to replace him are Republican El Paso County Clerk Wayne Williams, described by the Denver Post as Gessler’s “lone public ally” among clerks in the ballot controversy, and Democratic attorney Joe Neguse. The two differ on the sweeping elections overhaul Colorado passed last year, which allows same-day voter registration and requires the state to mail a ballot to every voter. New Mexico’s secretary of state race has incumbent Republican Dianna Duran pitted against Bernalillo County Clerk Maggie Toulouse Oliver, a rising Democratic star. Toulouse Oliver is emphasizing “full participation across a wide spectrum of the electorate” in her campaign, while Durran is accusing her of using “community-organizer, consultant-styled rhetoric.” In a TV ad that doubles as a promotion for right-wing myths about widespread voter fraud, Durran accuses Toulous Oliver of “registering a dog to vote.” In reality, a right-wing activist tried to register his dog to try to prove a point; he was caught and Toulouse Oliver referred his case to the proper authorities. Earlier this month, the Arkansas Supreme Court struck down the state’s voter ID requirement, a ruling that Secretary of State Mark Martin is vowing to fight. As the case worked its way through the courts, Arkansas voters got conflicting messages from elections officials under Martin’s leadership. He faces a challenge from Democrat Susan Inman. In Iowa, outgoing Secretary of State Matt Schultz spent $150,000 in taxpayer money in a quest to root out voter fraud in Iowa…and found none. He also conducted a voter roll purge that critics called an attempt to intimidate Latino voters.” The race to succeed him — between Republican voter ID supporter Paul Pate and Democrat Brad Anderson — is locked in a dead heat.